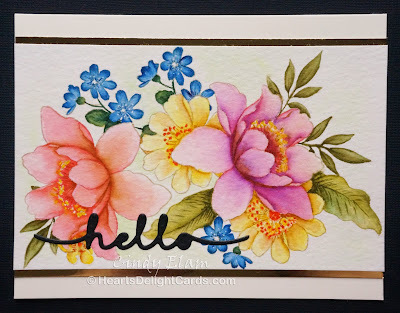 Heart's Delight Cards: I Did It - No Line Watercolor! While I had my Altenew stamps out the other day, I worked up my nerve to try "no line watercoloring." It's kind of a misnomer, really, because there are lines, but they are stamped in a light colored ink, so they don't show as much as black ink. Aaand, I figured as long as I was on the contra-bandwagon, I might as well try the Zig Clean Color brush pens I've had for a while and never used. All I can say is....... HOLY COW! This was my first attempt, and I couldn't be happier with the result! I cut masks for the flowers and large leaves so that they could be layered without the lines overlapping. That little bit of fussy cutting sure paid off with the final arrangement. 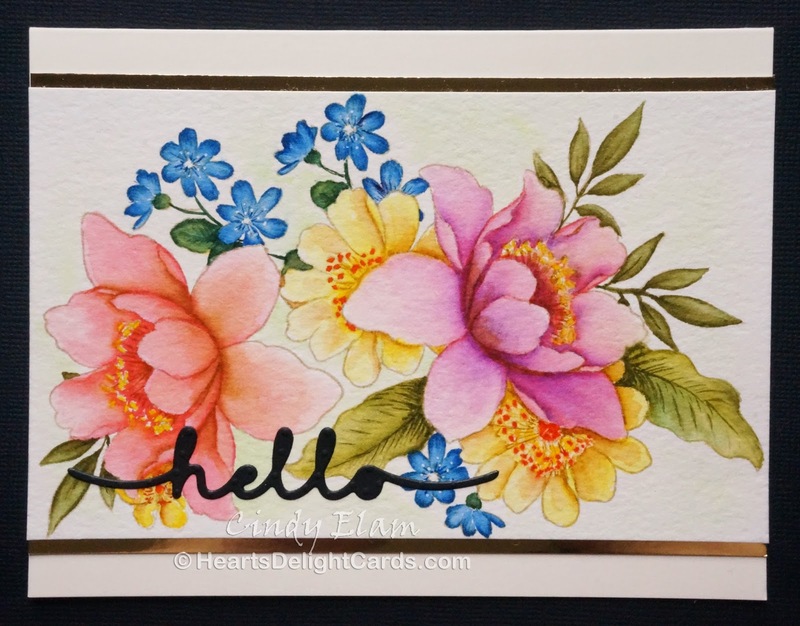 The images were stamped in Sahara Sand on watercolor paper, then I started coloring at the base of the petals with the Zig pens. 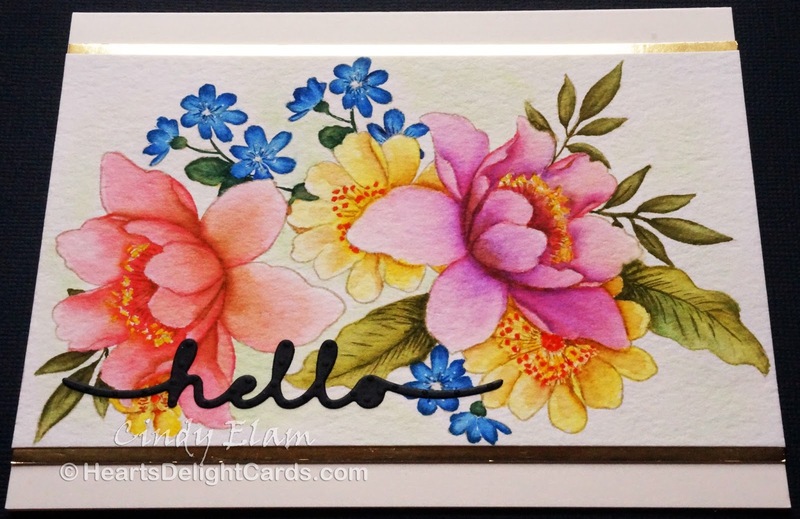 I'd do the base of one petal at a time, then use the (yellow) detailer tip water brush in this set to pull the color out over the petal. 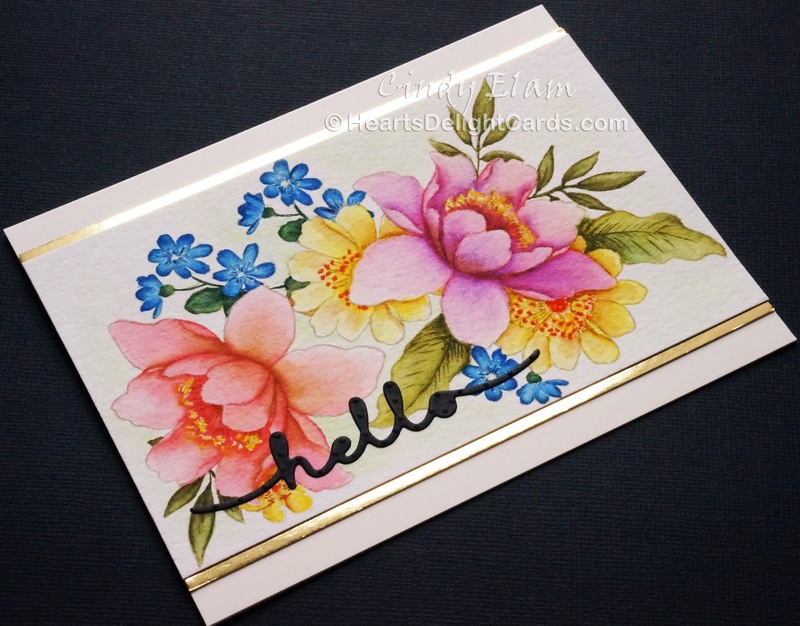 The ink naturally gets lighter toward the petal tips. Helpful Hint: If you want to try this technique, let each petal dry before doing the one next to it. I did one petal, then skipped to the opposite side while the one I just did was drying. 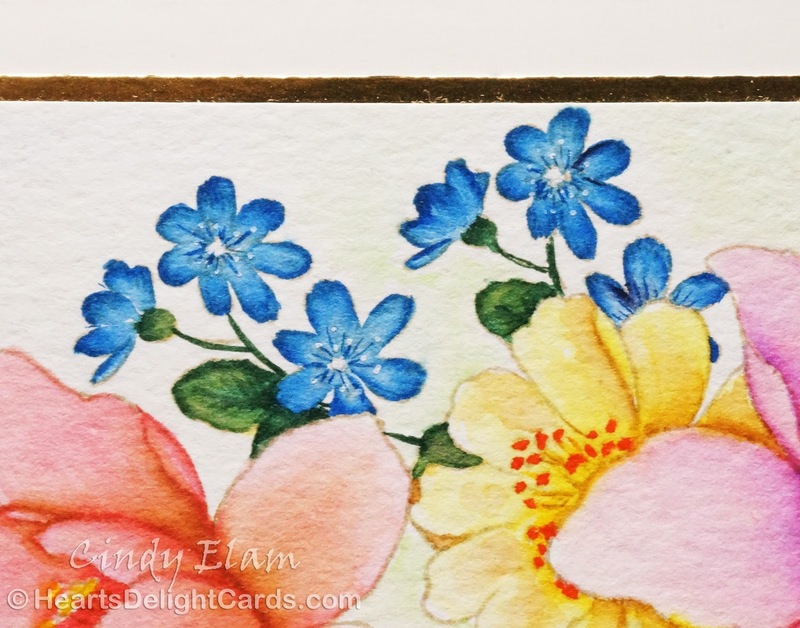 Colored outer edge of blue flowers and pulled color toward center. One of the things I absolutely loved about these brush pens is the brush tips are very fine, so I had lots of control and could add little details, like on the blue flowers above. The control freak in me was ecstatic! Altenew stamps used: Garden Treasure (flowers) and Peony Bouquet (leaves).